The 43rd annual Stuart Boat Show is still four months away, but organizers are working hard to make it better than ever. 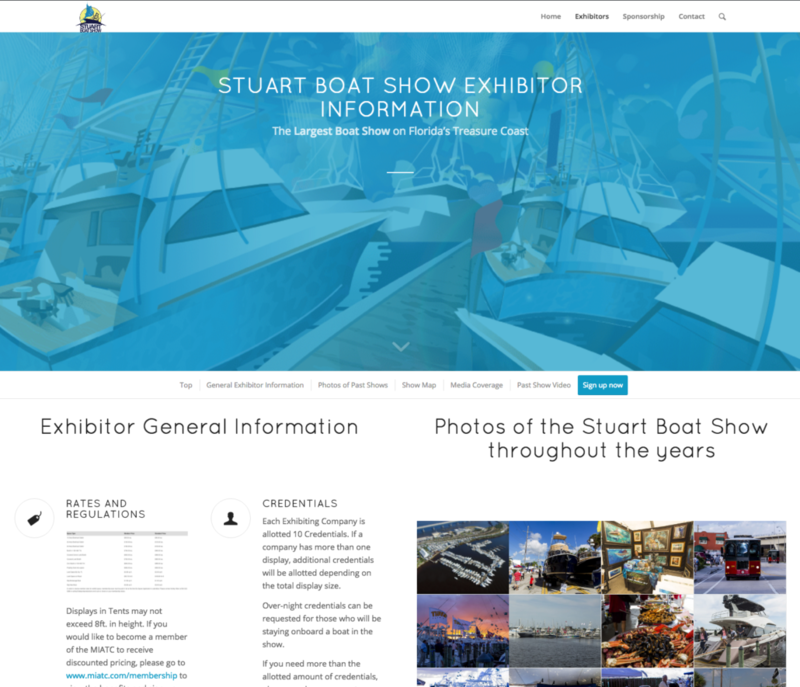 Monday, the Marine Industries Association of the Treasure Coast which owns the show and AllSports Productions which produces the show, launched a new Stuart Boat Show website found at www.stuartboatshow.com. The largest boat show on the Treasure Coast annually features over 200 local, national and international exhibitors displaying hundreds of boats in-water and on land. There are always a wide variety of boat brands represented at the show including the latest models of motor yachts, cruisers, center consoles, speed boats, sport fishing boats and pontoons ranging in size from 12 feet to 80 feet in length. Additional exhibitors include the latest in personal watercraft, safety equipment, marine electronics, inboard and outboard engines, financing and insurance companies, nautical clothing and jewelry, fishing gear and accessories. There are plenty of scheduled events including kids fishing clinic, an expanded food court area with delicious food, bar and large screen TVs round out the show.